The tally is in, and HamventionÂ® 2017, at its new venue in Xenia, Ohio, attracted 29,296 attendees, official spokesperson Mike Kalter, W8CI, told ARRL. That is the second-largest attendance in the history of the event. Hamvention attendance peaked in 1993 at 33,669, before the 1996 change in date from April to May, when the show was still being held at Hara Arena. Attendance in 2016 for the show's final year at Hara was 25,364. Hamvention relocated to the Greene County Fairgrounds and Expo Center this year, after Hara Arena closed last summer. Hamvention General Chair Ron Cramer, KD8ENJ, called 2017 "a most successful year." "We knew this would be a big year, but this was even beyond our expectations," Cramer said. "The challenge was great to reinvent Hamvention at a new venue in a very short time period. From all the e-mails, letters, and calls I have received over the last few weeks, we have accomplished it successfully." Cramer expressed appreciation for all constructive criticisms and said each idea is being evaluated. 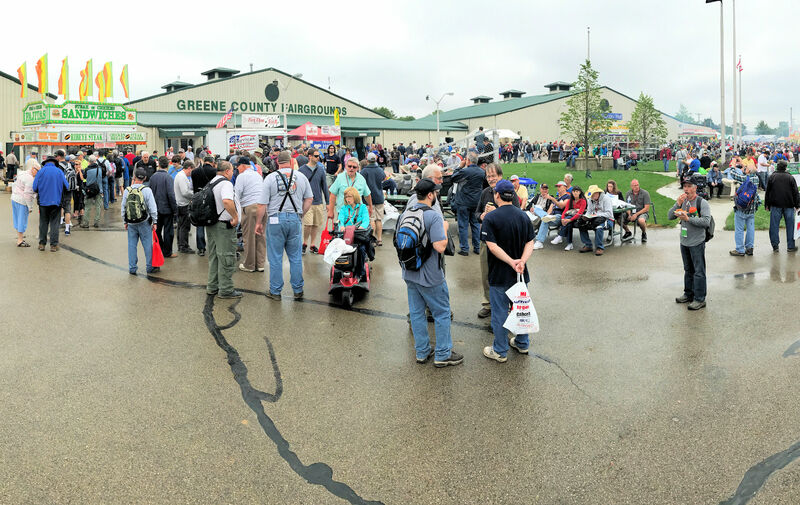 Held May 19-21, Hamvention 2017 has received largely positive reviews, despite traffic problems on opening day and heavy rain during the weekend. "We all recognize the traffic, rain, mud, and parking issues, but part of those issues were corrected even before show weekend was over," Cramer said. "Other issues are being worked on already for next year's show." He and Kalter said the Hamvention Committee has joined Greene County, municipal officials, and the Greene County Fairgrounds and Expo Center Advisory Board in addressing improvements for 2018. Kalter and Cramer also thanked the 657 volunteers who put in long hours to make Hamvention 2017 a reality. The Dayton Amateur Radio Association (DARA) sponsors Hamvention. "We can't control the rain, but we promise there will not be some of the other issues next year," Cramer said. "There may even be some new surprises in store," he added, pointing out that Hamvention has 3 more months to plan for the 2018 event than it did for this year's. Read more. Additional state and local governments have taken the opportunity to honor Amateur Radio in the form of various proclamations, as ARRL Field Day approaches. These proclamations arrived too late for inclusion in last week's edition of The ARRL Letter. In Indiana, Governor Eric Holcomb has proclaimed June 19-25 as Amateur Radio Week. He cited Field Day's function as an emergency preparedness exercise and recognized Amateur Radio's role in emergency response and communication support for public events. The Board of Supervisors of Ventura County, California, has proclaimed June as Amateur Radio Month in recognition of Field Day. "Amateur Radio operators are committed to the values of community service, continuous training, staying current with advances in technology, providing mentorship to new operators, and never charging for their services," the proclamation said. It cited Field Day as "a 24-hour exercise that simulates field operations under emergency conditions." The borough of Audubon, New Jersey, has proclaimed June 19-25 as Amateur Radio Week in the Camden County community. The proclamation notes that radio amateurs work with federal, state, and borough community services to provide communication support during times of natural disasters, severe weather, and other emergencies, as well as for public events. It specifically points to Amateur Radio support during Hurricane Sandy and other weather-related events that affected New Jersey. In Pennsylvania, Governor Tom Wolf, has proclaimed June as Amateur Radio Month. "Amateur Radio is both a hobby and service to the community," Wolf wrote in his proclamation. "I applaud all the men and women who graciously volunteer their time and talents to benefit their communities." Arkansas Governor Asa Hutchinson has proclaimed June 18-25 as Amateur Radio Week. His proclamation cited the role that "dedicated Amateur Radio operators" play in providing emergency communication support, particularly in times of severe weather. He also cited Amateur Radio's volunteer support to "charitable causes and public service events." 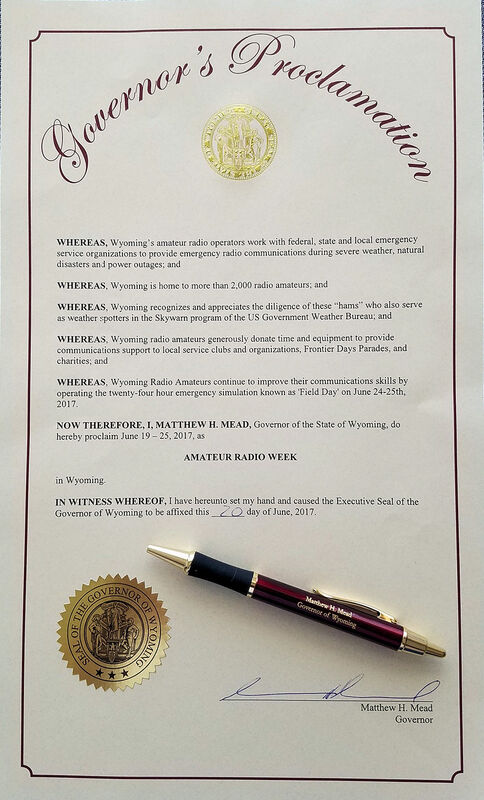 In Wyoming, Governor Matthew Mead has proclaimed June 19-25 as Amateur Radio week, citing ham volunteers' role in providing communication support and in the SKYWARN program. "Wyoming radio amateurs continue to improve their communication skills by operating in the 24-hour emergency simulation known as 'Field Day' on June 24-25," the proclamation said. The city of Wichita, Kansas, has proclaimed June 19-25 as Amateur Radio Week. Wichita Amateur Radio Club President Marc Hammann, K0VFW, accepted a proclamation from the Mayor Jeff Longwell and the City Council on June 20. The proclamation cites the role of radio amateurs in providing emergency and public service communication, promoting STEM educational initiatives, and the SKYWARN program. The city of Goose Creek, South Carolina, Mayor Michael Heitzler has proclaimed June 19-25 as Amateur Radio Week there. The proclamation calls Amateur Radio a valuable tool during emergencies, such as hurricanes. "Amateur Radio has once again proved its undisputed relevance in the modern world," the proclamation states. "Amateur Radio has continued to provide a bridge between peoples, societies, and countries by creating friendships and the sharing of ideas." 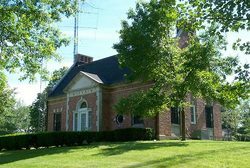 The village of Skokie, Illinois, has proclaimed June 19-25 as Amateur Radio Week. The proclamation signed by Mayor George Van Dusen, cites Amateur Radio's communication support role in emergency response and public events and its participation in the SKYWARN program. Field Day is Saturday and Sunday, June 24 and 25. The Field Day Locator will display the locations of Field Day sites that are open to the public and news media. Maxim Memorial Station W1AW at ARRL Headquarters has announced its Field Day 2017 bulletin schedule. The Maritime Radio Historical Society (MRHS) station K6KPH will transmit the W1AW Field Day 2017 bulletin for the benefit of west coast stations. W1AW will operate on its regularly published frequencies. CW: 1.8025, 3.5815, 7.0475, 14.0475, 18.0975, 21.0675, 28.0675, and 147.555 MHz. Digital: 3.5975, 7.095, 14.095, 18.1025, 21.095, 28.095, and 147.555 MHz. Phone: 1.855, 3.990, 7.290, 14.290, 18.160, 21.390, 28.590, and 147.555 MHz. W1AW will transmit the Field Day bulletin using 45.45-baud Baudot (RTTY), PSK31 in BPSK mode, and MFSK16, in that order. The W1AW EchoLink conference server W1AWBDCT will also carry the W1AW Field Day bulletin in real time during the transmissions. K6KPH will transmit on CW on these frequencies: 3.5815, 7.0475, 14.0475, 18.0975, and 21.0675 MHz. K6KPH will transmit using RTTY, BPSK31, and MFSK16, in that order, on 7.095 and 14.095 MHz. The K6KPH schedule is accurate as of June 19, 2017. Additional transmissions or schedule changes will be posted. "Generators" is the topic of the new (June 22) episode of the "ARRL The Doctor is In" podcast. Listen...and learn! In a low-key announcement on June 13, President Donald Trump indicated that he plans to nominate former FCC Commission member Jessica Rosenworcel to fill the open Democratic slot on the FCC. Rosenworcel served on the Commission from 2012 to 2016, leaving at the end of last year after the US Senate was unable to extend her term before time ran out on that session of Congress. Rosenworcel has been a vocal supporter of net neutrality and supported rules drafted by then-FCC Chairman Tom Wheeler that would treat internet providers more like utilities. The FCC's new Republican Chairman, Ajit Pai, has reversed course on that initiative. "I congratulate Jessica Rosenworcel on the announcement that President Trump will nominate her to serve another term on the Federal Communications Commission," Pai said in a prepared statement. "She has a distinguished record of public service, including the 4 1/2 years we worked together at this agency, and I look forward to working with her once again to advance the public interest." 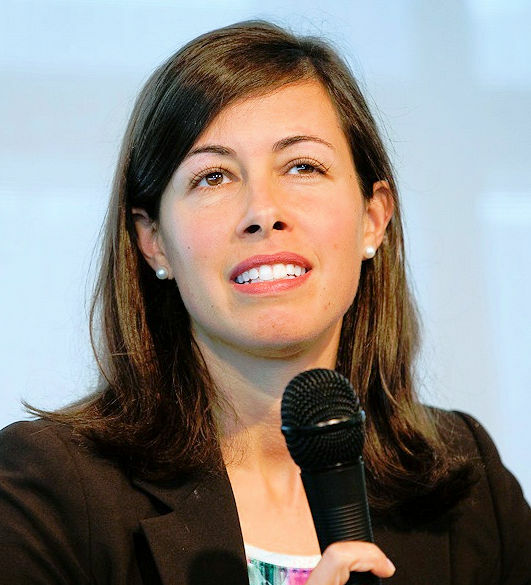 Rosenworcel also has advocated for FCC initiatives that seek to close what she calls "the homework gap" stemming from disparities in the availability of broadband service, especially in rural communities, which can hamper the ability of students in those areas to use the internet for school assignments. Senate Democratic Leader Chuck Schumer formally recommended Rosenworcel's appointment to the open FCC slot. The lone Democratic member on a now three-member FCC is Mignon Clyburn. The other Republican member is Michael O'Rielly. President Trump is expected to announce a Republican candidate to the FCC, to return the Commission to its full five-member complement. Read more. CAMSAT has announced that two Amateur Radio payloads piggybacked on the optical remote-sensing microsatellites OVS-1A and OVS-1B were launched on June 15 from China's Jiuquan Satellite Launch Center. 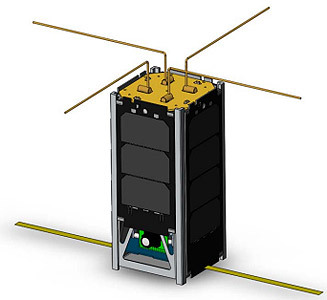 The primary launch mission is a hard X-ray modulation telescope satellite. The Amateur Radio payloads are designated CAS-4A and CAS-4B. CAS-4A (call sign BJ1SK) carries an inverting U/V linear transponder, with a CW telemetry beacon at 145.888 MHz and 4.8 kb GMSK telemetry at 145.835 MHz. The transponder uplink is 435.220 MHz; the downlink is 145.870 MHz. CAS-4B (call sign: BJ1SL) carries an essentially identical inverting U/V linear transponder, with a CW telemetry beacon at 145.910 MHz and GMSK telemetry at 145.890 MHz. The transponder uplink is 435.280 MHz; the downlink is 145.925 MHz. "The frequencies of transponders are center frequencies, and uplinks/downlinks are both 20 kHz wide," CAMSAT's Alan Kung, BA1DU, explained. "The transponders are linear and good for SSB/CW operation." Thirteen schools and organizations have moved into the second phase of the selection process to host the earthbound end of an Amateur Radio contact with an International Space Station (ISS) crew member. Amateur Radio on the International Space Station (ARISS) is in the process of selecting schools and groups to host ARISS school/group contacts during the first half of 2018. The 13 prospective hosts will now submit ground station equipment plans. These must demonstrate the ability of the school or organization to execute the ham radio contact. Once final equipment plans are approved by the ARISS technical team, finalists will be placed on the schedule according to their availability and flexibility to match the scheduling opportunities that NASA makes available. A primary goal of the ARISS program is to engage young people in science, technology, engineering, and mathematics (STEM) activities, and to raise their awareness of space exploration, Amateur Radio, communications, and related career possibilities. 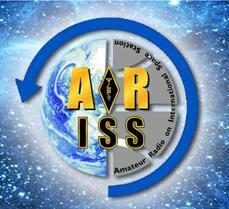 ARISS is a cooperative venture of AMSAT, ARRL, and NASA in the US, and other international space agencies and Amateur Radio organizations around the world. Read more. The US Fish and Wildlife Service (FWS) has agreed that a DXpedition to Baker and Howland Islands (KH1) -- the fourth most-wanted DXCC entity -- would be an acceptable use, but has detailed strict conditions under which it would issue a special use permit (SUP). The FWS recently completed a compatibility determination for Amateur Radio operation on Baker Island National Wildlife Refuge, and two dozen comments showed "strong support" for Amateur Radio operation on the ecologically sensitive island refuge, the FWS said. Baker Island is 1,830 nautical miles southwest of Honolulu -- an 8-day voyage. "While...not a wildlife-dependent public use according to National Wildlife Refuge Administration Act of 1966, as amended, Amateur Radio operation is a use that assists in the management of the resources indirectly," the FWS said in its Compatibility Determination, released on June 8. "By allowing Amateur Radio operators to visit the PRIMNM [Pacific Remote Islands Marine National Monument] refuges, the refuges benefit through the ability of staff to visit remote island sites to monitor wildlife populations, habitats, detect invasive species introductions, and perform management actions that would otherwise require the Service to charter a vessel." Citing an estimated cost of at least $250,000 to charter a vessel with a 14-day layover, the FWS noted that "most of the remote island refuges within the PRIMNM are rarely visited due to budget constraints." Baker and Howland Islands are part of the Pacific Remote Islands Marine National Monument (PRIMNM), created by former President George W. Bush under the authority of the Antiquities Act of 1906. The monument was expanded by President Barack Obama. The Compatibility Determination mandated 18 stipulations for Amateur Radio DXpeditions visiting the refuge. A DXpedition to the refuge could last up to 14 days, with only 12 days of radio operation. 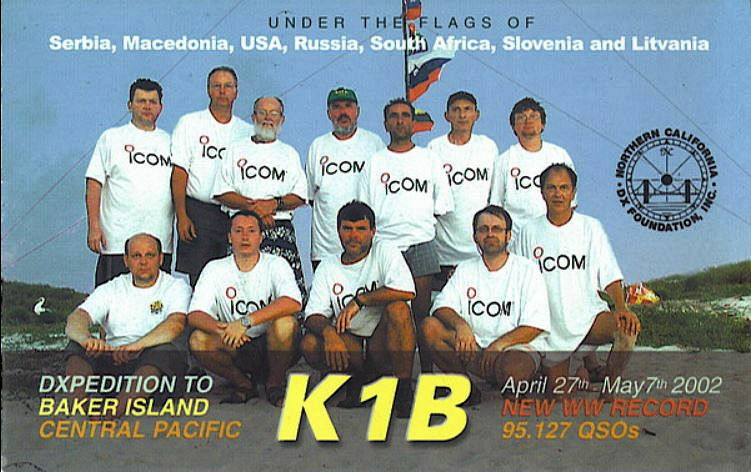 The last DXpedition to Baker Island took place in April and May of 2002. "Complete avoidance of seabird colonies will minimize nest disturbance and prevent burrow nest cave-ins," the FWS said in its Compatibility Determination. "Activities on Baker Island will always attract the land crabs that inhabit this location. All efforts must be taken to avoid inadvertently feeding or entrapping these animals." Amateur Radio came to the rescue of the INSPIRE-2 CubeSat, built by the University of Sydney in collaboration with the Australian National University, and the University of New South Wales. According to the Wireless Institute of Australia (WIA), the CubeSat is designed to "explore the lower thermosphere, for re-entry research and in-orbit demonstration of technologies and miniaturized sensors" and is part of the QB-50 constellation of research CubeSats. Its operational frequency was coordinated by IARU to be in the satellite segment of the 70-centimeter Amateur Radio band. After its deployment from the International Space Station (ISS) in late May, INSPIRE-2 showed no signs of life. The engineering group on the ground tested various scenarios on the INSPIRE-2 engineering model, concluding that the spacecraft's battery had depleted due to the CubeSat's extended stay on board the ISS prior to orbit. The ground controllers theorized that the satellite was trapped in an endless loop, but was still listening while trying to deploy its antenna, making reception of signals from Earth difficult. The ground team devised a set of commands that, if received, would instruct the satellite to wait until its battery was charged before attempting to deploy its antenna. UNSW and ANU ground stations transmitted the recovery command without success, however, eventually deciding that more power was needed to overcome the lack of receiver sensitivity caused by the still-stowed antenna. PI9CAM at the CAMRAS Foundation Dwingeloo Astronomic Observatory in Leiden, the Netherlands, responded to a call to the moonbounce community and offered to transmit a high-power signal using a 25-meter dish that's normally used for radio astronomy but also for EME. Success of the approach was confirmed on June 11, and Dimitrios Tsifakis, VK1SV, who is part of the ANU team, was subsequently able to send commands to the satellite from the ANU Earth station for the first time. The satellite had come back to life! WIA called it, "a wonderful example of successful collaboration between radio amateurs and the academic community." -- Thanks to WIA News. Read more. Hundreds of Amateur Radio stations have reported receiving the WSPR signal being transmitted by CG3EXP on 20, 30, and 40 meters from the Canada C3 expedition to track the vessel Polar Prince as it transits Canada from east to west via the Northwest Passage in 150 days to celebrate Canada's 150th anniversary. This marks the first time that WSPR has been used to track a vessel. The expedition, which started on June 1, will continue until October 28, ending in Victoria, British Columbia. It's currently on the third of 15 planned legs of its journey, en route from Baie-Comeau, Quebec, to Charlottetown, Prince Edward Island. The 220-foot-long Polar Prince, a former Canadian Coast Guard vessel, is a research icebreaker. CG3EXP has been transmitting on 20, 30, and 40 meters at 20-minute intervals since leaving Toronto on June 1. The CG3EXP WSPR HF end-fed antenna, on the ship's port side, slopes up to the mid mast at 62Â° -- some 46 feet of insulated wire, approximately 0.5 Î» on 30 meters. A live tracking link, generated by QRP Labs, the supplier of the transmitting hardware, is being hosted by Jeff Milne, VE3EFF. Stations with an HF receiver and the free WSPR application can receive the CG3EXP signals directly from the ship on 40, 30, or 20 meters, and the location can be gated to the internet and tracked on WSPRnet. The project is seeking radio amateurs who are in close radio proximity to the route to receive the CG3EXP signal using the WSPR application on their existing equipment and uploading the data to the internet. This can be entirely automated via the WSPR application. FCC Chairman to Appoint New Enforcement Bureau Chief: FCC Chairman Ajit Pai has announced that he intends to appoint Rosemary C. Harold to serve as chief of the Enforcement Bureau. Michael Carowitz, who has been serving as acting bureau chief, will become the Bureau's deputy chief. 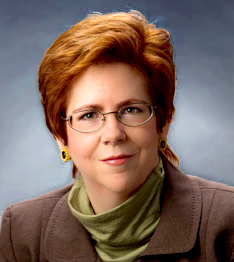 Harold is an attorney with experience within the FCC agency and in private practice; she's also a former journalist. "This agency has a critical role to play in enforcing the law to protect consumers and support competition in the communications marketplace," Pai said. "Our Enforcement Bureau has been getting back on track in recent months, and I am confident in Rosemary's ability to continue this progress." Pai also praised Carowitz's work as acting chief. "Michael's steady hand at the helm of this important Bureau has helped us stay on task in protecting consumers and enforcing the law," Pai said. The Enforcement Bureau is charged with enforcing the Communications Act, FCC rules, and various licensing terms and conditions. It also investigates instances of possible unlawful conduct involving the regulated RF spectrum. 13 Colonies Special Event Returns July 1-7: The ninth annual "13 Colonies Special Event" will take place July 1-7, with activity starting at 1300 UTC on July 1 and continuing until 0400 on July 7 (the evening of July 6 in US time zones). Participating stations try to contact all 13 Colony Stations plus two Bonus Stations -- a clean sweep, a la ARRL November Sweepstakes. Stations in each of the original 13 colonies will be on the air using 1 Ã 2 special event call signs. The bonus stations will be WM3PEN in Philadelphia and GB13COL in Durham, England. Call signs and their respective states are K2A, New York; K2B, Virginia; K2C, Rhode Island; K2D, Connecticut; K2E, Delaware; K2F, Maryland; K2G, Georgia; K2H, Massachusetts; K2I, New Jersey; K2J, North Carolina; K2K, New Hampshire; K2L, South Carolina, and K2M, Pennsylvania. Additional information is on the 13 Colonies website. Ulrich Rohde, N1UL, Wins Prestigious W.G. 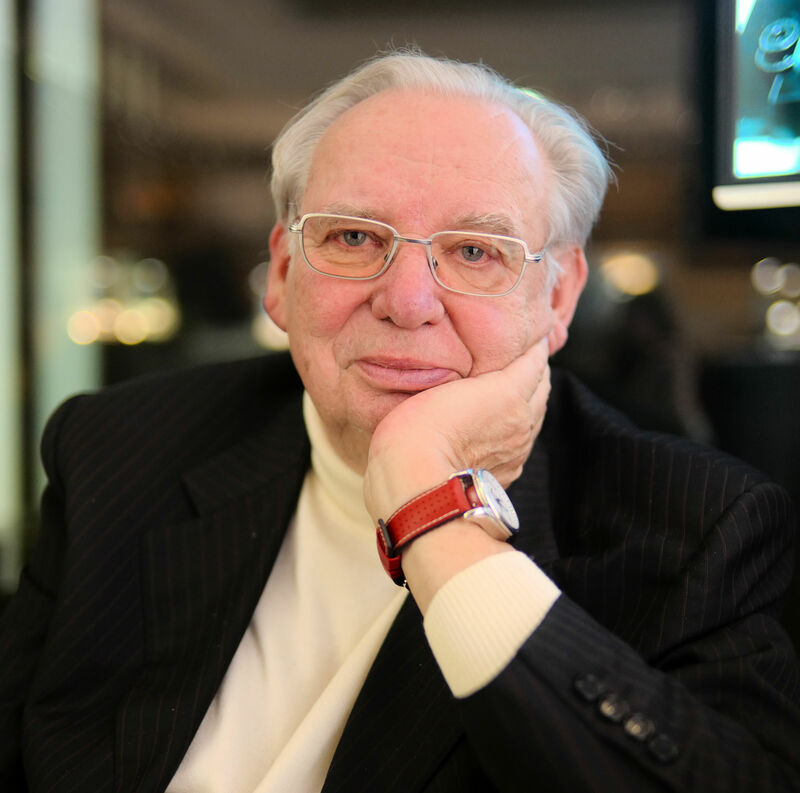 Cady Award: Well-known scientist and radio amateur Ulrich Rohde, N1UL, is the recipient of the 2017 W.G. Cady Award, "for pioneering research, development, and commercialization of signal-generating and processing devices for commercial and scientific applications." Sponsored by the IEEE Ultrasonics, Ferroelectrics, and Frequency Control (UFFC) Society, the Cady Award recognizes outstanding contributions related to the fields of piezoelectric or other classical frequency control, synthesis, and measurement; and resonant sensor devices. Recipients are selected by the IFCS/EFTF Joint Program Committee. The average daily planetary A index went from 7.3 to 9.4, and the mid-latitude A index from 6.9 to 8.1. Predicted solar flux is 75 on June 22-28; 74 on June 29-July 4; 75 on July 5-7; 77 on July 8-9; 74 on July 10-14; 75 on July 15-17; 74, 72, and 74 on July 18-20; 70 on July 21-23; 74 on July 24-31, and 75 on August 1-3. Predicted planetary A index is 8 on June 22; 12 on Jun 23-24; 10 and 8 on June 25-26; 5 on June 27-July 12; 20 and 12 on July 13-14; 10 on July 15-16; 5 on July 17-18; 8 on July 19; 12 on July 20-21; 10 and 8 on July 22-23, and 5 on July 24-August 5. Conditions for ARRL Field Day this weekend should be good. The planetary A index had been predicted at 5, but the current weekend projection is for 12 and 10; certainly workable. 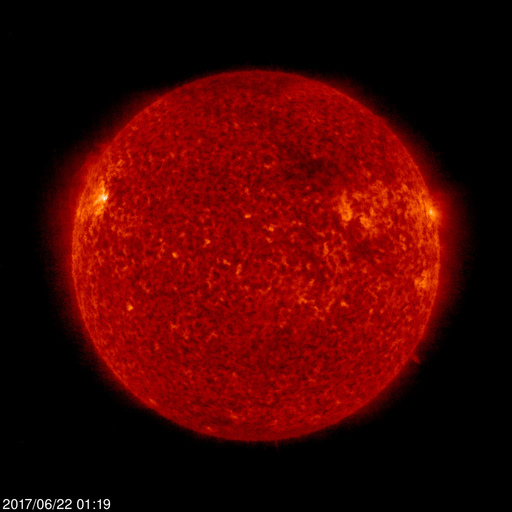 Predicted solar flux is 75 for both days. Sunspot numbers for June 15-21 were 28, 28, 28, 27, 26, 34, and 35, with a mean of 29.4. The 10.7-centimeter flux was 77.4, 73.5, 74.8, 74.9, 73.6, 74.4, and 73.7, with a mean of 74.6. Estimated planetary A indices were 4, 25, 15, 10, 5, 3, and 4, with a mean of 9.4. Estimated mid-latitude A indices were 5, 18, 12, 9, 7, 3, and 3, with a mean of 8.1. We want to hear from you! Tell us what you think of The ARRL Letter.